This is made out of pine and has been stained two different colors to make the skyline standout. 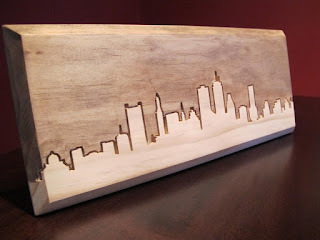 I like the modern look of this piece while it still has the rustic vibe of using just a piece of wood. 5.5" x 13" x .75"